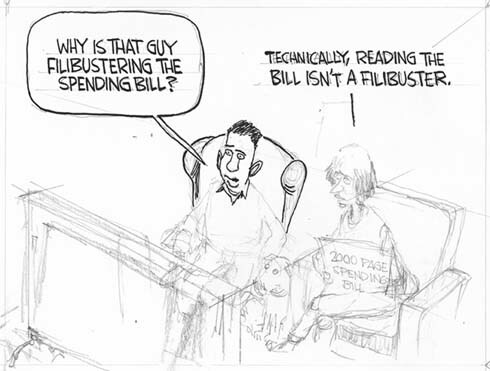 The senate tried to pass a last minute, $1.2 trillion, 1,924 page spending bill last night. The bill had 6,630 earmarks totalling $8 billion. 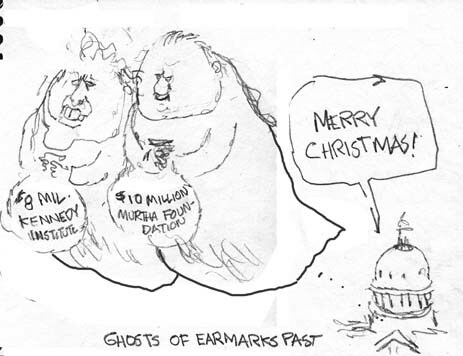 Even dead senators got earmarks – $8 Million for the Edward Kennedy institute and $10 million for the John Murtha Foundation! 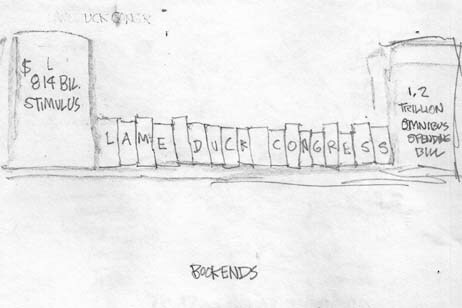 The Wall Street Journal called it “The 111th Congress’s Final Insult“. A cartoonist can’t ask for much more than that. 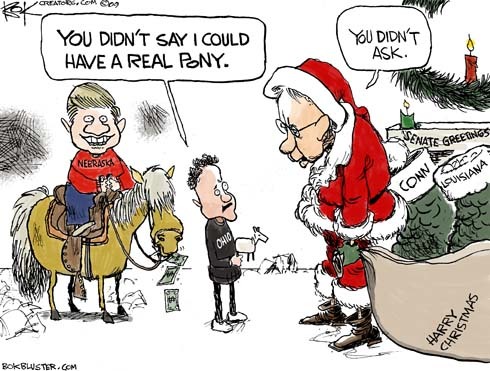 Then, just as a 40 hour reading of the bill was about to begin, Harry Reid pulled the plug and spoiled all the fun. He ruined 3 days worth of cartoons. I think I’ll call my congressman. The Omaha Stakes were worth millions to Nebraska. The Louisiana Purchase brought $100 million to that state. Sherrod Brown voted for the health care bill too. Did Harry Reid hold out on Ohio?